Nutritionist and author of The High Fat Diet Zana Morris has got it down. ‘The point of this exercise plan is to preserve muscle mass while you lose weight or, even better, increase your levels creating an even more toned, slimmer-looking body,’ she says. Sound good? Stick to these three rules and get fitter, quicker. 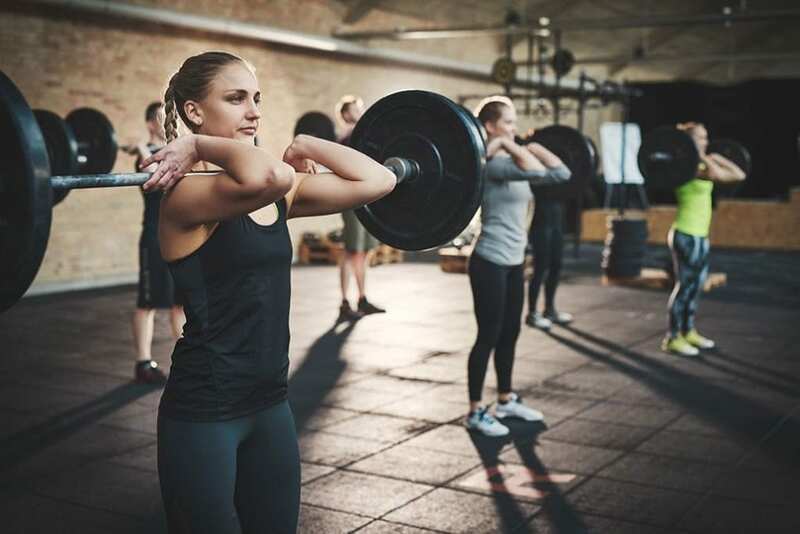 Although the exercise plan gives better results in the gym (as the heavier weight you can lift, the greater fat-burning and strength gains you can achieve), using your body weight with added resistance at home is more than enough to build a better body. Lunges – with feet hip distance apart and hands on hips. Super-squats – with legs hip-width apart and toes facing slightly out. Keep your back straight and, whilst grabbing your wrist, squat as low as possible pushing your hips back and keeping your feet planted firmly on the floor. Press-ups – on your hands and knees, walk your hands as far forward as possible. Keeping the majority of your body weight on your hands, bend your elbows to lower your chest to the ground. Seated row – with a resistance band looped around your feet and your feet pressed against the wall, pull both ends towards you until you’re sitting in an upright and straight-backed position. Lateral raise – with a dumbbell in each hand, lock arms straight and raise them to slightly above shoulder height. Tricep dips – do these on the edge of a bench, sturdy chair, sofa or bed with feet on the floor and knees (bent) over your ankles. Bicep curls – with a dumbbell in each hand, knees slightly bent and feet shoulder-width apart. Diamond push up – like normal, but with hands close together to form a diamond shape between thumbs and forefingers. Calf raises – do these on a step, bottom stair or a large, sturdy book. Crunches – remember to make sure your chin is away from your chest and look up towards the ceiling throughout the exercise. Vertical leg raise – lie down and raise straight legs so that your soles face the ceiling. With your hand behind your neck for support, contract tummy muscles, lift hips of the floor and push feet towards the ceiling. Do the upper body moves for 30 seconds each and lower body for one minute each – doing as many reps as possible in that time. Rest for no more than five to ten seconds between each move. Get fitter faster and allow yourself some serious satisfaction at the results this #FeelgoodFebruary. For more tips and the full low-down on the diet plan to complement this exercise plan, pick up The High Fat Diet: How to lose 10lb in 14 days (Vermilion, £7.99). Feel good this February with Zana Morris' high intensity home workout plan.